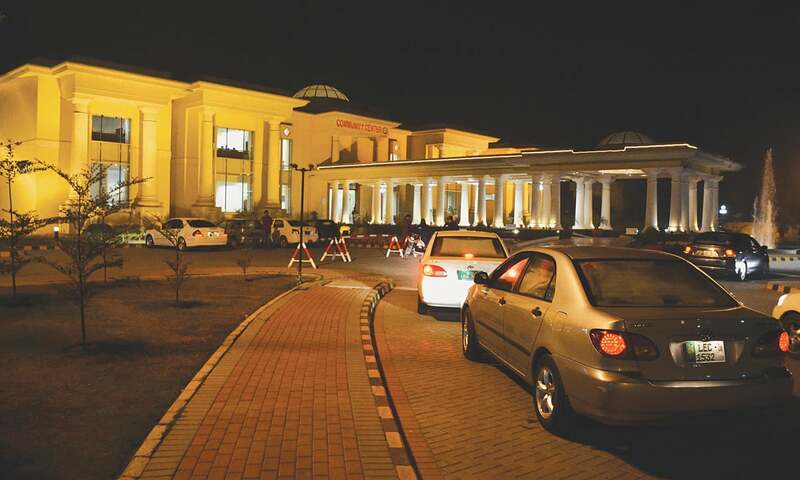 When you are coming down the Islamabad Expressway, finding Bahria Town can be a bit like finding an oasis in a desert. The suburban labyrinth rests behind an array of misleading mirages. 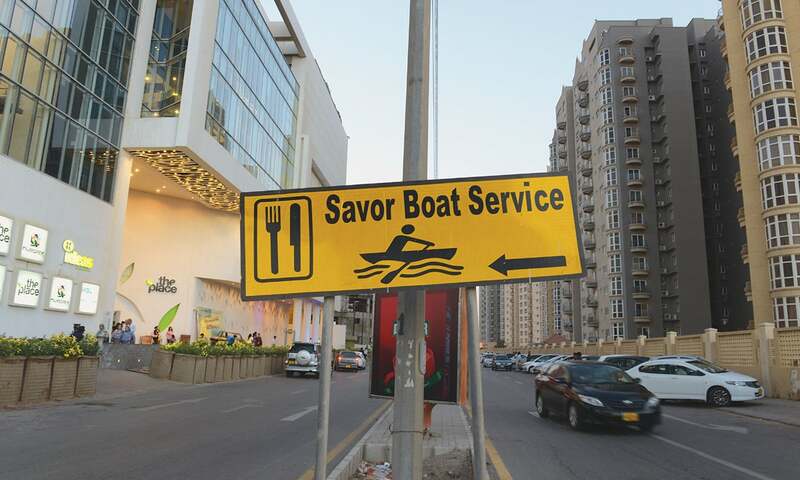 Apart from the signboard that points to a Bahria Town exit, the expressway is dotted with signs to other housing projects such as Media Town, DHA Valley, the Naval Anchorage and Gulberg Greens — all self-explanatory; the last one especially making it a point to live up to its name. Once off the expressway, you still have to pass through the length of another housing scheme to get to Bahria Town’s barrier-laden entrance — this last one by the Pakistan Public Works Department (PWD) which maintains and develops properties owned by the federal government. Alternatively, the path from Rawalpindi is more straightforward. 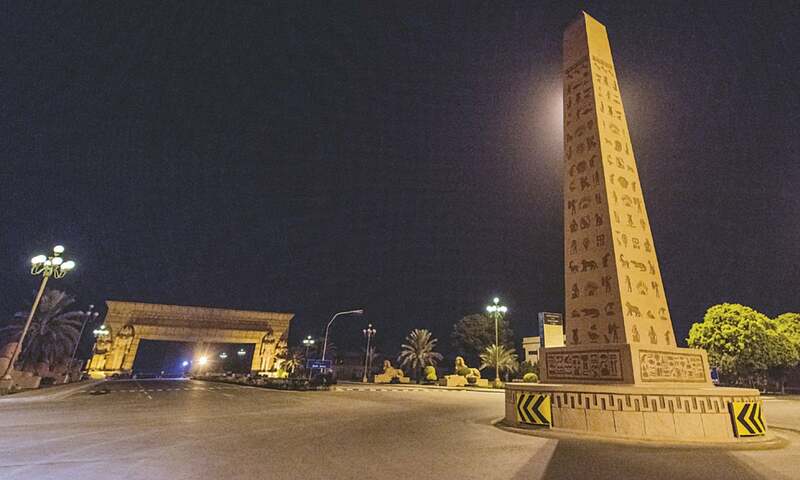 The nine phases of Bahria Town which are spread over two separate compounds straddle the Grand Trunk Road just a little south of where Rawalpindi’s city limits end. With commerce at the centre of this enterprise, the promise of a sealed and secure community – that Bahria Town and its numerous clones offer – is a bit duplicitous. Also read: Where's the money? There is a riding range for those who have always felt congested city streets do not offer enough galloping room for horses. There is a golf course for those who have never been particularly fond of stirrups and there is a cinema with reclining sofas for those who don’t even like walking. There are health clubs, hospitals, playgrounds and even a cricket stadium in Phase 8, a phase bigger than the first six phases combined. So large, in fact, that it’s possible to take a wrong turn while traversing it and end up in New York somehow. For, beyond an avenue lined with palm trees, there is a Statue of Liberty looking just as confused about being there as you might be about seeing her. There is also an imitation Eiffel Tower on the other end of the same phase. Because, well, why not? 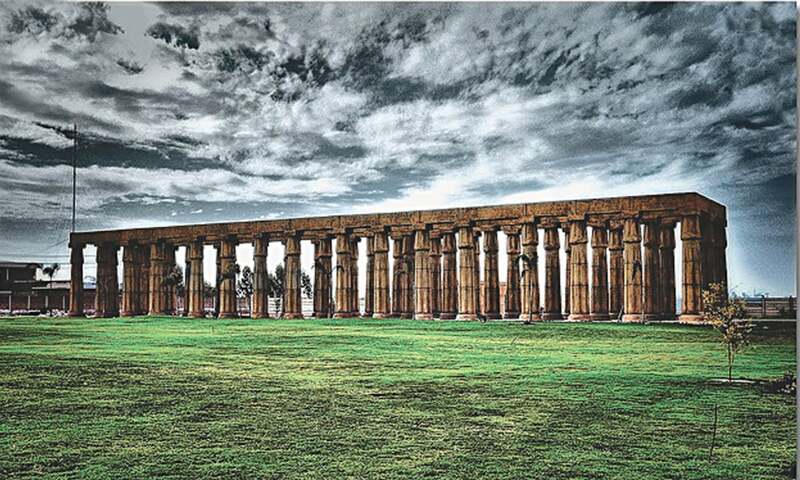 In Bahria Town’s Lahore iteration, Greco-Roman columns greet you at the main gates. You can almost imagine Julius Caesar strolling down them, on his way to file a complaint at the Bahria Customer Care and Support Center. If you think this is all a bit excessive, I probably shouldn’t mention the Sphinxes. “Candlelight dinners are most enjoyable when they are not forced,” is how Bahria Town advertises its ability to keep the lights on. Where the rest of the country gets blackouts, Bahria Town’s residents get backup supply from a 12-megawatt generator which will soon be upgraded to 50 megawatts. The cost of this additional electricity is only one or two rupees per unit over what the outside world pays for this embattled amenity. Bahria Town also has garbage trucks, fire tenders, a dedicated water supply, sewage disposal system, emergency rescue services, close-circuit television cameras and uniformed guards patrolling the streets — all of this provided at nominal maintenance rates that hover around 4,000 rupees a month. Not to mention the malls, the restaurants, the bowling alleys, the super stores and the hotels. This is what drives the commercial heart of Malik Riaz’s concrete republic. The founder of Bahria Town knows that it is not enough to develop real estate and sell houses. The real value is generated through commercial ventures. With commerce at the centre of this enterprise, the promise of a sealed and secure community – that Bahria Town and its numerous clones offer – is a bit duplicitous. Without this commerce, however, the promise of an enclave that you never need to leave is entirely impractical, even unfeasible. This is also why you see the paradoxical trend of gated communities within gated communities. The sectors and apartment blocks in Bahria Town don’t align to some happy median in design, furnishing, construction, access and privileges. The Awami Villas, for instance, offer relatively humble five marla houses, at a distant location from the main commercial areas, for about 4,000,000 rupees. They don’t come with extra security or extravagant amenities. The Safari Villas, on the other hand, offer luxuriously furnished residences with barriers, railings and security guards; the cost shoots up to 10 million rupees for a house the same size as the one in Awami Villas. Security premiums like this are driving housing preferences within Bahria Town, which sees more fenced in residential quarters every day. Security, in fact, is reshaping community life all across Pakistan. Model Town Lahore is a very old private housing society. It was first registered under The Cooperative Societies Act of 1925 and developed as a suburban retirement home by the collaborative efforts of – and this could have been the start of a great joke – a Muslim doctor, a Hindu commissioner and a Sikh judge. 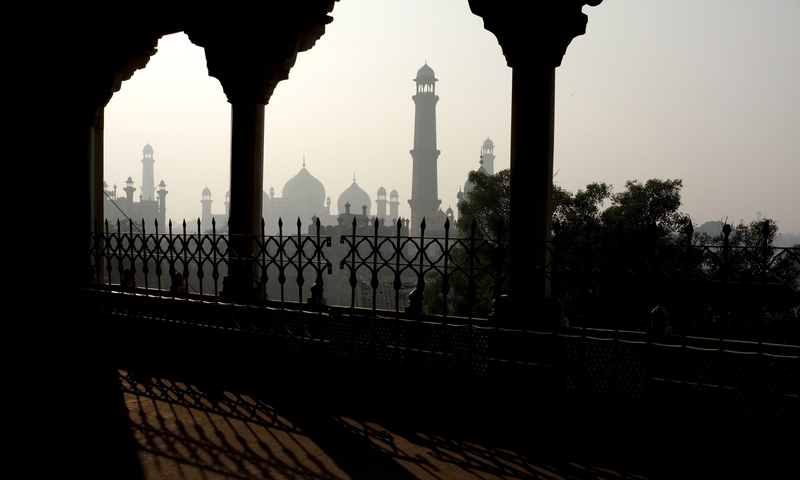 At the time of Partition, about 1,100 of its 1,300 residents were Hindus and Sikhs. The now abandoned Hindu temple and Sikh gurdwara in the D Block market area stand as lone witnesses of that bygone era. After Partition, most Model Town residents fled to India and the neighbourhood was declared evacuee property. It wasn’t until 1962 that it was registered again as a cooperative housing society. The stated mission of the society has remained the same all these years since: to promote the economic and social interests of its members, and to establish and maintain a garden town. Perhaps in line with this foundational principle, Model Town has slowly but surely been transforming into a gated community since 2005, when the society was under the presidency of Colonel (retd) Tahir Kardar. The timeline coincides with both the aftermath of the global war on terror, which has precipitated violence in our part of the world and, therefore, the need for security, and the emergence of Bahria Town’s success story which started doing the rounds in middle-class drawing rooms across Pakistan. 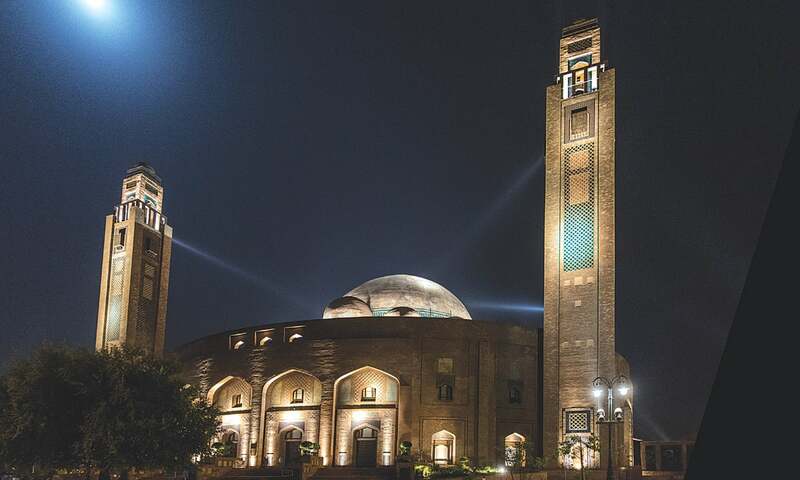 Model Town exists in concentric circles with a gigantic park in the middle which occupies 20 per cent of the society’s total 1,400 acres of land. There are various commercial areas in an inner circumference around the park, and then there are residential areas in the outer circumference. Model Town also has its own shopping mall, plenty of schools and colleges, sports academies and a couple of gentrified clubs. Earlier this year, the Model Town Society held its presidential elections. Out of its 4,200 registered members, roughly 2,500 turned up to vote. It was all very exciting — banners on the streets depicted slogans like “Vote for us and we will change your destiny,” because who else but the residents of Model Town could be in need of better fates. The winner of the election and incumbent president is Sahibzada Saifur Rehman Khan. A socialite with the kind of sweeping moustache that doesn’t quite say ‘Member of Provincial Assembly’ but marks him out as someone of influence. He is on his second consecutive term now. Khan started throwing receptions and dinners three months prior to the election. He says his group must have spent about 20 million rupees on the election campaign. Why spend so much to win a residential society election? Commercial interests, of course. 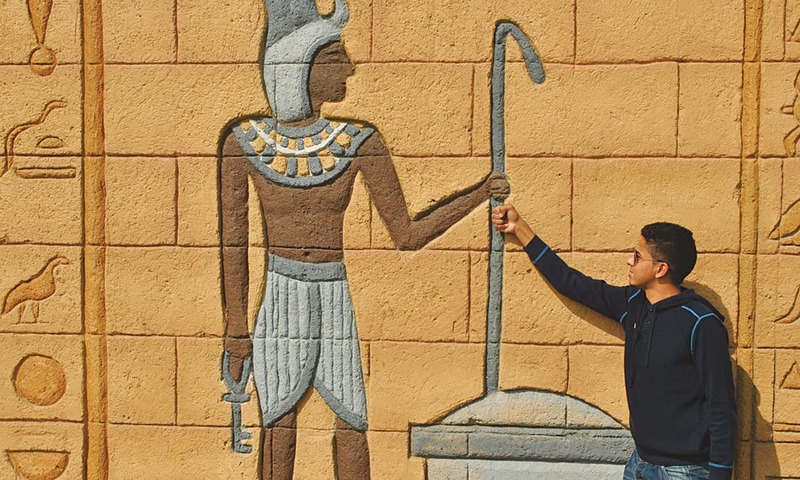 The Model Town Society leases plant nurseries, shops in the commercial centres and petrol stations; it also rakes in advertising revenue from the numerous billboards emblazoned along the roads. 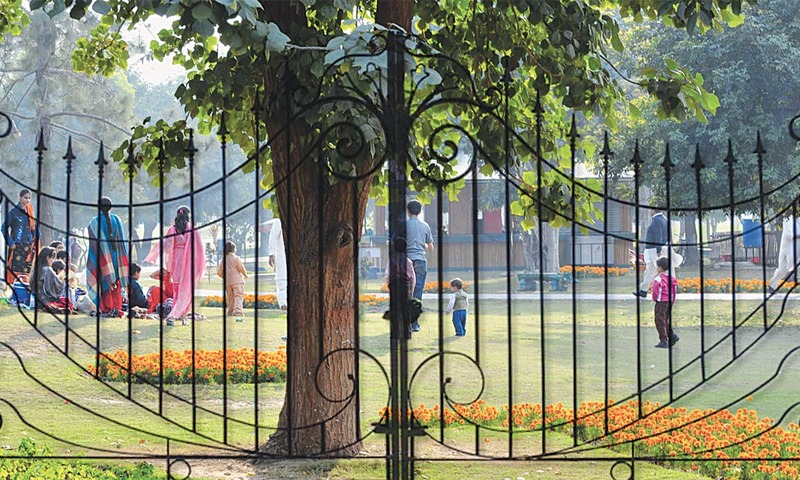 The Model Town Park’s gate receipts alone stand at seven million rupees a year. The Model Town Community Center now mainly comprises rentable marriage halls which remain occupied throughout the year — no actual community activities take place there. All this revenue is ostensibly spent on paying for the Model Town’s expenditure on electricity and water works, maintenance and construction of roads, security and development. But handling this kind of money is why administration is such a lucrative position to hold. At one point during Khan’s election campaign, his chief aide very earnestly exclaimed, “These elections are more important for Lahore than the general elections”. Obviously, he is a very excitable man. But he might have accidentally made a larger point about Lahore being made up more of commercially lucrative self-contained, self-administered enclaves than being a metropolis run by a single administrative entity. The retrofitted gates – like the ones in Model Town – have been popping up everywhere in Lahore. Accompanied by large slabs of concrete blocks to slow down vehicular traffic, these entrances make many places around the city look like fortresses completely cordoned off from their surroundings. These places include Wapda Town, Canal View Housing Society, Tech Society, PCSIR Housing Society, various Government Officers Residences (GORs), the Falcon Complex, EME Society and many others — mostly on the south-eastern edge of the city. Officials of the Lahore Development Authority (LDA) and other metropolitan departments come out in the press, every once in a while, to say how these gates and barriers block public passages, constitute encroachment and should be declared illegal. The Lahore High Court, too, has ordered the removal of these barriers in the past but to no practical avail. Model Town shuts most of its entrance gates at around 9pm. Out of the 26 exit and entry points to the neighbourhood, only four remain open during the night that lead to main commercial areas and a hospital. People in adjoining communities are terribly inconvenienced. Rescue 1122, the government department responsible for attending to emergencies in Lahore, frequently lodges complaints to city authorities about its vehicles having to take circuitous routes because of all the gated societies in Lahore. Yet, the entrance gates continue to increase unabated. As security concerns and commercial interests grow, Lahore’s suburbs are turning into urban islands. Karachi has been comparatively slow in developing its own gated communities. Real estate in the city is a heavily disputed commodity given the sheer amount of land under litigation. 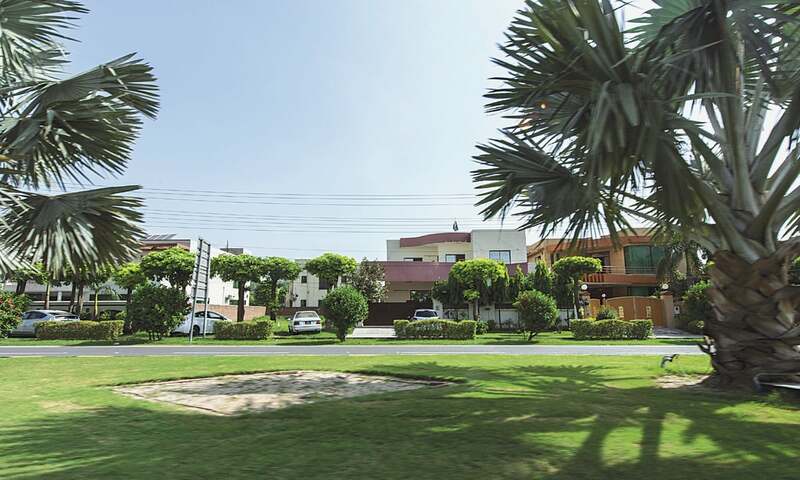 Projects like Naya Nazimabad on Manghopir Road and Arkadians in Defence Housing Authority (DHA) have accrued two to three years of delays owing to court cases. Land acquisition for Bahria Town in Karachi has also taken longer than it did in Rawalpindi and Lahore. 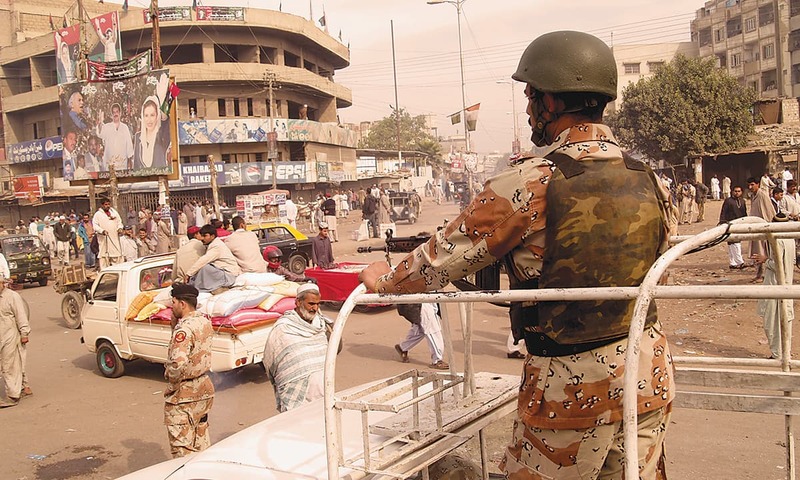 Even now the gigantic land development occurring a little beyond the Karachi Toll Plaza on the super highway continues to attract the ire of everyone from the Rangers to the Sindh High Court. 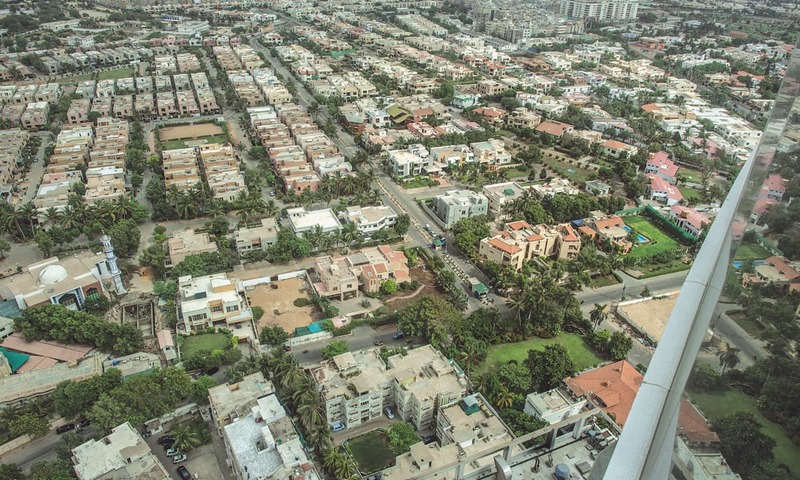 As far as gated living is concerned, however, Karachi does have fortified high-rise apartment complexes over Punjab’s love for horizontal housing. The 12-tower complex of Creek Vista Apartments in DHA Phase 8 is nestled between an army-run golf club, a mosque and a mall that contains the popular Nueplex Cinema, reinforcing the trinity of military, religion and capitalism. Getting into Creek Vista is an ordeal for non-residents. You have to prove many things, just being a normal law-abiding citizen doesn’t cut it. You either need a resident card or an invitation from someone who has one. The apartments were to be part of a mega DHA project called Creek City, supposed to comprise residential towers overlooking Karachi’s creek and the ensuing sea. That larger plan, however, has long been hampered by legal battles and fallings-out between DHA and its developer partners. Creek Vista is the only site that has reached completion. Each of its towers has 60 apartments — the whole complex containing a whopping 720 extremely expensive residential units. Yet, occupancy remains close to capacity. Everything here is clean, sparkling and sanitised. The rust that permeates so many of Karachi’s other high-rises is largely absent. Maintenance is obviously a priority. Most apartments come in three-bedroom to four-bedroom suites. While on the outside they look over well-kempt grassy knolls, the apartments can be strangely cluttered on the inside: too many cuts and angles, trying to fit too many separations into a single living space. A normal suite can be rented for 150,000 rupees a month; for a monthly rent of 200,000 rupees you can get the penthouse, a double-storied extravagance which comes with its own swimming pool. They drove a Suzuki Mehran; now they drive a Prado. They lived in Samundri; now they live in DHA Lahore. So what exactly does money like this buy for you? Well, a supermarket, a park, a gym and a fine dining restaurant all on the premises, and perhaps Karachi’s most valuable commodity: water. It also gets you a foolproof security plan and the knowledge that, like you, your neighbours have lots of money and wish to do similar things with it. Like keeping it safe until it is time to spend it on improving the Jacuzzi. The apartments come equipped with motion detectors, panic buttons and door sensors all attuned to detect security breaches. More than 40 guards are present in the complex around the clock. All domestic servants are required to submit a character certificate issued from a police station, stating that they have never committed a crime and are of a reputable nature. While Creek Vista properties are now privately owned and rented, their administration, maintenance and security are the sole responsibility of DHA Karachi. The manager at Creek Vista is a retired colonel; the head of DHA Karachi is a serving brigadier. The tagline in the Creek Vista advertisements is “Modern living for urban royalty”. All the fawning and fussing over its residents certainly fits that bill. 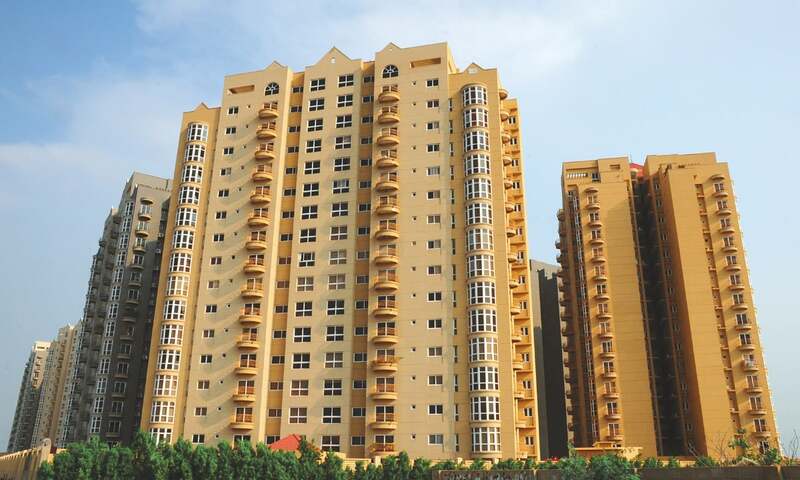 A similar gated tower complex is under construction in a congested and densely populated part of Karachi; the owners of Lucky Cement are building the Lucky One apartment complex right between Sohrab Goth and Gulshan-e-Iqbal. By the thickness of its outer walls and the size of the shadows they cast, the barbed wire and sandbagged security detail, you can tell this is a residential venture that is virtually going to war. Bookings opened well before construction work on the project actually started. The first thing being built is the central shopping plaza to attract investment for the surrounding residential towers. The corporate office has a miniature model of the completed project: a gorgeous looking thing, with a miniature mall, a miniature rooftop garden and miniature towers with tiny cars parked outside, promising miniature tranquillity. A young man tries to convince me that if I have the money, it is a foolproof investment. Property never sinks, he says. It only ebbs but even then to the eventual benefit of someone or the other. Too much money has been put into this project to let it fall apart now. The apartments are still cheap; that will not always be the case, he concludes. I would call it speculation, but the man keeps assuring me there is nothing to speculate about. If you have the cash up front, he explains, it is a win-win situation. A year ago, in a quiet corner of Jhelum city, five gentlemen, much more advanced than me in age and life experience, sat around the table at a realtor’s office discussing investments. Northern Punjab is remittance rich but not overly developed. Land transactions are frequent but not very profitable due to the lack of commercial and infrastructural progress. For real investments people look elsewhere. Chaudhry Elyas, the owner of the real estate business, was telling his friends about the disappointments of investing in Bahria Town Karachi. “Kam thanda pai gya ai” (It’s gone a bit cold), he said. He told them how lots of people would walk into his office with dozens of allotment files from Bahria Town Karachi, begging Elyas to find a buyer and help them get rid of their bad investment. He told those people that if they were desperate, they could wait a bit longer; Bahria Town itself would eventually buy back those files. “This is what they did in Rawalpindi. Whenever the pace of development slowed down, whenever new registration stopped and file holders panicked into selling, fearing that the entire thing was going bust, Bahria Town just quietly bought the files back. At rates lower than what it had sold them for, Riaz makes money even when people don’t,” Elyas explained to his current audience. Recently I called him again and asked if a lot of people were showing interest again in Karachi’s Bahria Town, now that development is well underway at the site. He laughed and said he had bought 10 files himself. 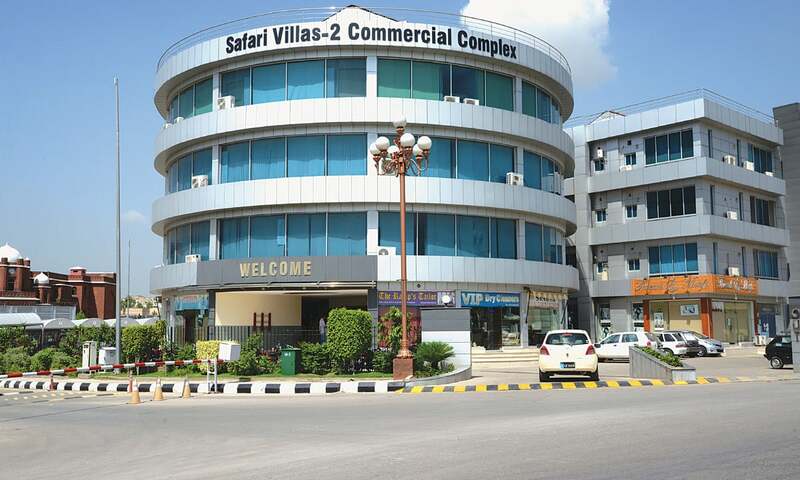 Since last year, he has even moved his office to Bahria Town Rawalpindi, in one of the numerous plazas where shops are entirely populated with land dealerships and realtors. Being in their proximity means being more aware of opportunities. “After a while, you get to know the patterns: when to hold on, when to sell, the opportune moments to buy, like right before a commercial project is announced to the public,” he explains the market’s mechanisms. Speculation increases land pricing and greatly rewards the winner of this transactional game. Elyas states that land prices in and around Islamabad tripled between 2001 and 2004 — that is, after Bahria Town in Rawalpindi started balloting for allotment of plots. Aaj ki mitti, kal ka sona (today’s dirt, tomorrow’s gold) is how the conventional wisdom in real estate goes. Property is the fastest way to new money. The stories in Punjab are endless. Your distant cousin’s in-laws, who had been sitting on a plot of land since Nawaz Sharif’s last tenure as prime minister, all those years ago, suddenly saw commercial development around their property. They sold at scarcely believable rates. They drove a Suzuki Mehran; now they drive a Prado. They lived in Samundri; now they live in DHA Lahore. Land is still not properly taxed and transactional charges are negligible. The real estate market is an integral part of a country’s economy. Given that land set aside for residential or commercial purposes does not produce anything, market distortions caused by land hoarding and speculation adversely affect economic growth — research points to as much as one per cent retardation in gross domestic product (GDP). 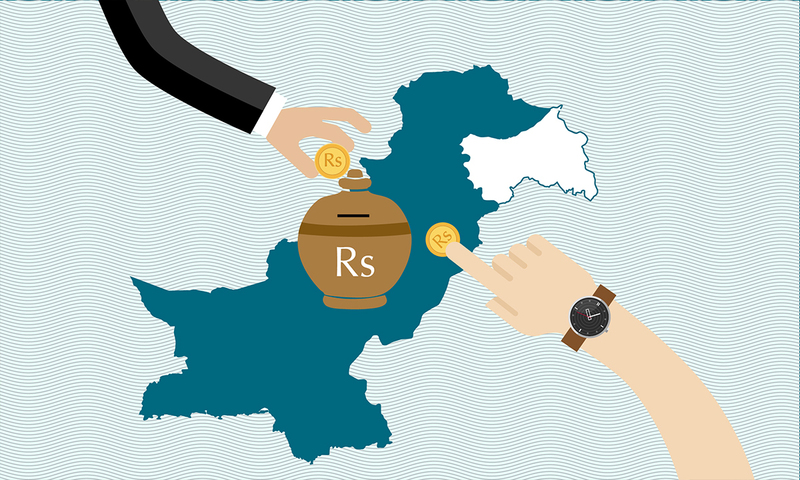 Considering that Pakistan’s economic ambitions in the ongoing budget (for 2015-2016) are set at five per cent growth, this distortion is highly significant. The other thing being distorted by low population density private housing enclaves is, well, the housing market. According to the Association of Builders and Developers (Abad), Pakistan faces a housing shortage of nine million housing units. This, in a country where low population density private housing schemes like Bahria Town and its military neighbour, DHA, occupy twice as much land as the city of Rawalpindi. 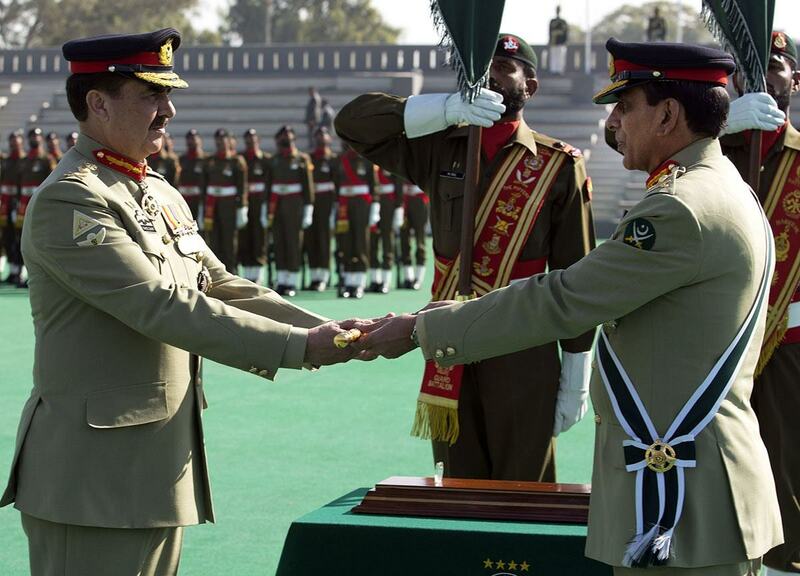 Colonel (retd) Misbahul Hussain is a man of few words. His replies are curt and dismissive, as if the answers are so evidently plastered over his real estate establishment as to make my questions seem stupid and naive. He corrects me on numerous small things, like the difference between a developer and a builder (a developer buys the land and prepares the infrastructure but usually outsources construction, he says) and dismisses any queries on the involvement of too many armed forces personnel in the real estate business. He owns and manages Forces Estates and Builders, situated right at the beginning of Bahria Town Phase 1 in Rawalpindi. His projects include many of the commercial plazas and residential quarters that make up Bahria Town’s eyeline. 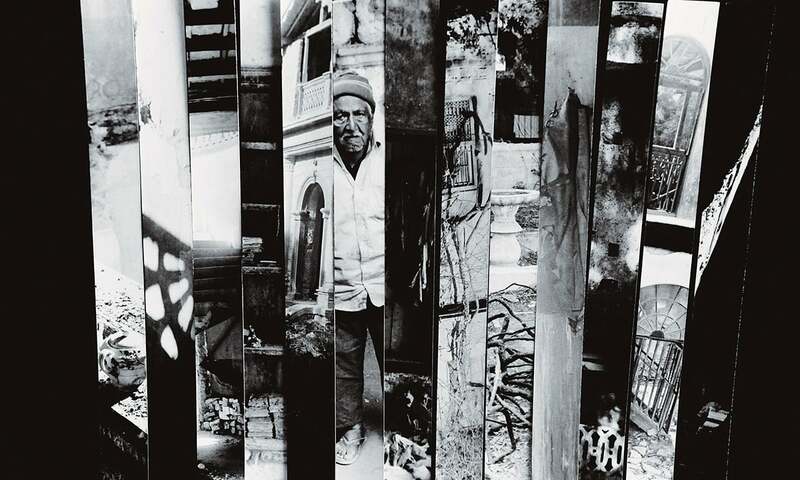 He is of the opinion that Riaz’s project puts into stark contrast the failures of the state, the visibly poor urban planning and development by successive governments. Riaz has done what the state of Pakistan has not been able to. He has constructed pockets of order inside a disorderly and dysfunctional nation. Yet, this seems like a false analogy. That vague mass of people that has, over the years, constituted municipal administration, elected officials and the bureaucracy have inherited major structural problems since independence. They have struggled with a lack of funds and institutional continuity, and have had to develop land for the public good of a constantly migrating and expanding population — most of which would be priced out of existence in Bahria Town. Sure, they are not exactly covering themselves in glory with the work they have done, but the constraints were significant. Rationalising the state’s failures, however, is an academic exercise. An exercise few will indulge in after comparing the broken roads, traffic jams and visibly rundown houses outside Bahria Town to the lush serenity inside. The idea of incompetence among government and civil bureaucracy seems to be an entrenched given anyway. Especially for an aspirational middle class which perceives itself as the biggest source of government revenue and thus with the most to complain about its unruly and aesthetically cluttered spending. Many villages smaller than Charar Pind were simply uprooted; most of their residents unable to afford living in the newly developed neighbourhoods. But that would make these gated enclaves places where middle-income people take refuge from the problems they have helped to create. The same military and civil bureaucracy retiring to the comfort of gated living have been responsible, directly or indirectly, for ensuring national security and civic amenities — largely failing at both. Bahria Town is alleged to have benefitted from links with the security establishment. Its idyllic retreats are said to have been facilitated by the power and patronage of the armed forces — at least at the time when Riaz’s enterprise was in its nascent stages — the very word ‘Bahria’ is a remnant of his botched partnership with the Pakistan Navy. And then there have been other, more intangible, links. Riaz was a contractor for the MES in the 1980s. That experience is apparent in Bahria Town’s working. It has customer support and complaint centres but also more military style command centres which oversee security and maintenance teams. In case of a breakdown, the command centre coordinates repair and redress. The military association is also alleged to have given Riaz greater access to land. For one, all of his major schemes are in close proximity to DHA schemes. Bahria Towns in both Rawalpindi and Lahore are neighbours to the various phases of DHA; Karachi’s Bahria Town is going to be right next to the, likewise, under-construction DHA City. The two schemes often share the same road network and even developers, builders and contractors. Bahria Town’s employment advertisements often seek retired major generals and lieutenant generals to fill senior positions at the company. Riaz’s purported “best housing infrastructure in the country” sounds less impressive when seen in the context of how military-run housing has been faring in the country. DHA began as a cooperative housing society meant for retired army officers. Since its inception in 1975, however, it has slowly become an autonomous real estate developer, thanks to a number of presidential orders issued under military regimes. The DHA Ordinance, 1999, authorises DHA to “acquire” land for “public purposes”. It means that DHA can take over land from private landowners on official prices, which are generally below the market prices. In effect, this means DHA’s land acquisitions are subsidised and do not face fair competition in the real estate market. 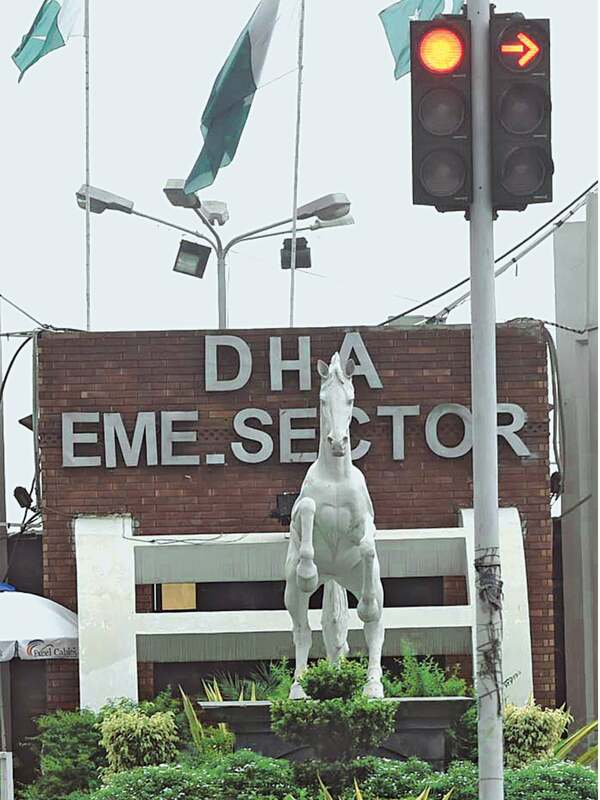 DHA Lahore began developing its first phase in 1983; before its housing units were filled up, it had already started spreading eastwards like an urban puddle. Today, it is spread over 11 phases and stands perilously close to the border with India; the area covered by these 11 phases used to be mostly agricultural land divided among small villages. There are no visible gates or barriers to entry in DHA Lahore. There are a few toll booths, mostly inactive; there are security checkpoints, sparsely located; yet there is a segregation both within DHA and between DHA and the parts of Lahore surrounding it. If you are sceptical that such a thing as an invisible gated community can exist, perhaps the story of Charar Pind will serve as an illustration. Urban planner Rabia Ezdi has found – as part of her research on land expropriation for private housing development – that Charar Pind used to be a sizable village before it was subsumed into DHA’s development juggernaut sometime during 1985. What is left of it is now located in DHA’s Phase 4. The villagers told Ezdi that, when their lands were being bought, the reason given was official army use, a statement they feel made them settle for a lower price on the lands which today are being used for private housing. Development in and beyond Phase 4 meant that the remaining Charar Pind soon found itself geographically isolated. The village was surrounded by a sparkling new residential area but the villagers say they weren’t welcome into this area. Ezdi was told by Charar Pind residents that they were stopped from using DHA parks and were profiled at the security barriers which had sprung up on the exits and entrances to their village. They said they were also close to losing their village graveyard when DHA started erecting a wall around the burial grounds, prompting them to take DHA to court. The court decided in the villagers’ favour but they later alleged that DHA had again encroached on their cemetery, after the dust from the trial had settled. This resulted in physical clashes between the villagers and DHA security; villagers told Ezdi that they were fired upon and 15 of them were injured. Many villages smaller than Charar Pind were simply uprooted; most of their residents unable to afford living in the newly developed neighbourhoods. The few resourceful ones entered the property business and became dealers and real estate agents, often acting as a conduit between DHA and future sellers in surrounding villages. This is a common pattern with land procurement for housing projects. 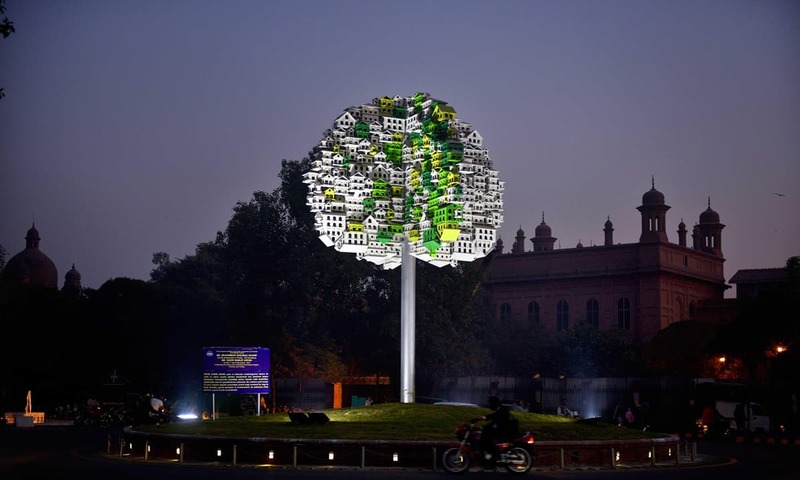 Charar Pind’s experience isn’t unlike what you see in other cities, with other developers. It is hard to imagine that Bahria Town’s vast urban expanse in Rawalpindi was once mostly communal land, colloquially called shamilaat. No one really owned this land or, technically, everyone owned it. Until the day that they didn’t. When Riaz first began to purchase these shamilaat lands, it opened a window of opportunity for influential locals passing off as the owners of the communal land or pretending to represent their entire communities. The unwittingly dispossessed did not have much by way of legal recourse. The communal lands were reserved during the British Raj. A century or so later, nobody is sure about their exact legal status. It is these hilly shamilaat purchased on the cheap that give Bahria Town its roller coaster roads, rising and falling to the point of causing vertigo. The villagers who formerly occupied this area now live on its peripheries, in greater congestion, working either as domestic help and daily labourers in Bahria Town or running the small shops in the PWD commercial market. The sheer size of luxury housing enclaves means large chunks of metropolitan areas offering jobs and opportunities – in this case, Rawalpindi – have become inaccessible to people trapped behind their boundary walls and gates. Human communities aren’t the only things this private development upset. Ten years ago, the Punjab Forest Department lodged a complaint with the police against Bahria Town; the main accusations being that the private developer had encroached upon forest land, then kidnapped and harassed officials who had tried to bring the encroachment to public notice. 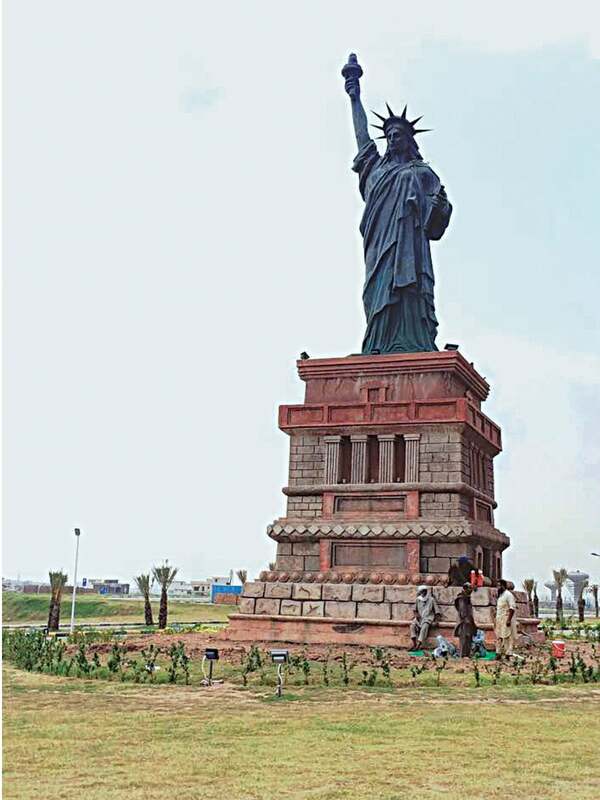 The First Information Report registered after the complaint states that Bahria Town administration, under the command of a certain Captian Shahid, was cutting trees from department lands in Lohi Bher, a national park which extends next to Bahria Town territory. A related legal petition alleged that Bahria Town had forcibly acquired about 1,416 acres of land in the Rakh Takht Pari forest area of Rawalpindi. Most of these cases are still pending in various courts of law. Gated housing schemes in remote locations also need extensive public road networks; they never attract investments otherwise. This causes a certain degree of development redirection, the kind that is being seen on the Southern Loop of the Lahore Ring Road. The latest plan for the Ring Road skirts around DHA, Ferozepur Road and Raiwind Road and is to be built at an estimated expense of about 60 billion rupees. Once completed, it will be of enormous commuting and commercial benefit to the suburban housing enclaves that fall along its path — such as Eden Park, Lake City, Fazaia Housing Scheme, Bahria Town and LDA Avenue. Likewise, the currently under-construction signal-free corridor on Islamabad Expressway passes through an area, spread from Zero Point to Rawat, that consists mostly of large gated residencies. 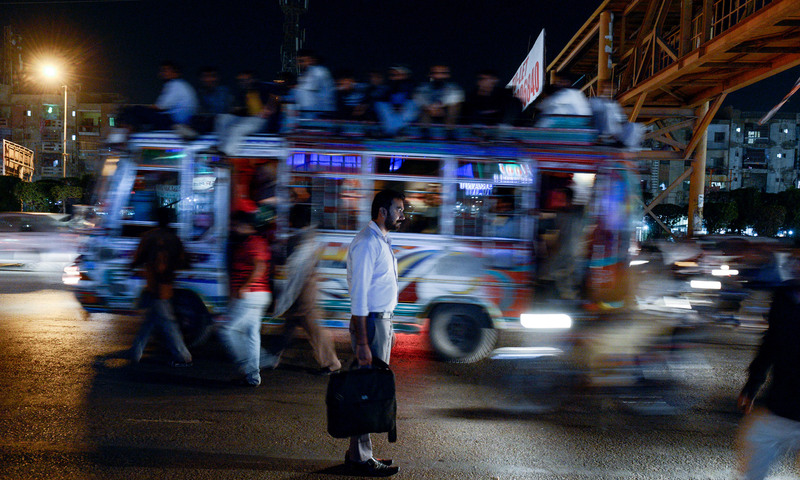 The cost to the tax-paying public for a faster commute out of Islamabad for the residents of these housing estates is about 20 billion rupees. 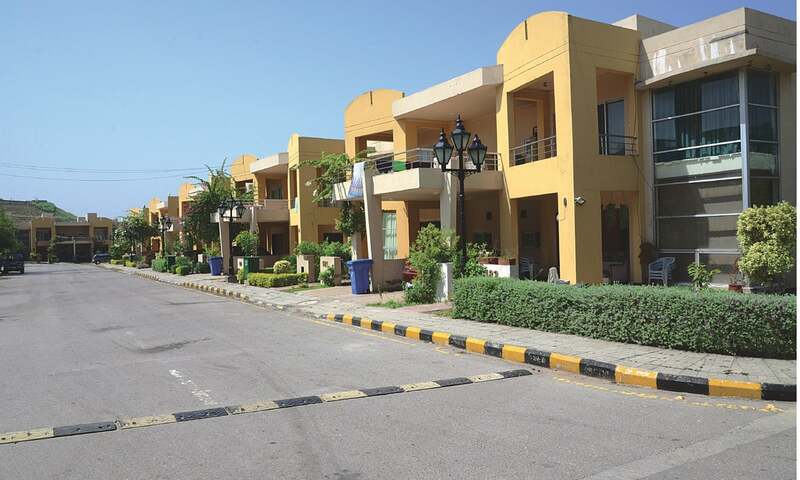 LDA Avenue in Lahore is one of the few large-scale gated housing schemes intended for government servants. The land for it was acquired under the Land Acquisition Act of 1894 on rates decided through a government system of valuation and not market values. This submarket rate resulted in legal and, sometimes, physical battles with villagers many of whom claim to have been forcefully evicted. Today, LDA Avenue stands empty and deserted, much like a ghost town, the project has failed to achieve its housing targets. That doesn’t mean, however, that it’s failed to achieve its commercial targets. Off the record, LDA officials admit that it was a short-term project to begin with and its purpose was to raise capital for the authority which was accruing debts it could not pay off. This gated housing scheme on Raiwind Road managed to generate just enough speculative interest to meet that goal; people registered and started paying installments, hoping for a quick plot balloting. But most of the plots allotted ended up under litigation. A process of handing out alternate plots to the ones under litigation was started earlier this year — almost 12 years after the first balloting. That’s 12 years of land not cultivated or built on — pretty much a textbook example of arrested development. LDA officials also readily admit to not being concerned about their failure to provide housing as they were once tasked to, having long since abandoned that task to private developers and DHA. “Look, on one end of Lahore you have the army; on the other you have Malik Riaz; in the middle you have places like Model Town. That is where the money is, that is where housing projects can be financed,” an official says on the time-honoured condition of anonymity. Put simply, they don’t have the capital to purchase land in the areas mentioned above, let alone make houses there. As urbanisation in Pakistan has grown, public spending on housing has plummeted. Loan disbursements by the government run House Building Finance Company Limited plunged to 130 million rupees in 2013 from 400 million rupees in 2008. Even as far back as the 1960s, when the first wave of rural to urban migration took place due to the mechanisation of agriculture, LDA officials say the scale of migration was too large for the state to accommodate. So, instead of building houses, the state institutions introduced what they called “the site-and-services concept”, promising to build infrastructure around houses that people would build on their own expense. The government also supported the creation of housing cooperatives societies by providing state land at low prices but most of these societies were for government employees and officers of the armed forces; for public servants and not for the general public — especially not the lower-income and working-class communities. Most new housing projects being launched in the country now are gated and these privately developed enclaves have been building up for a while. Administratively, legislatively and functionally this is the inevitable result of past housing policies. The state abandoning its responsibility to provide public housing, coupled with inadequate laws against land hoarding and low taxes on the sale and purchase of real estate, have resulted in a housing market that can, logically, only produce Bahria Towns. As renowned architect and urban planner Arif Hasan explains, these gated towns have resulted from decades of bad policies. “There is no non-utilisation penalty or concept of a building period on developed land,” he says in an exasperated tone. The process from registration to allotment and eventual house building can take years, if not close to a decade. Lots of urban land is lying around completely unused, especially in private housing enclaves. “It’s a matter of policy … there is political and material profit only in private estates,” he says. Hasan says gated communities are problematic by their very nature, as they further restrict movement, access and public spaces for an already embattled lower income part of the populace. He’s written extensively about the environmental and cultural impacts of low population density, high-maintenance housing schemes mentioning, for instance, the massive damage caused to the mangrove forests around Malir and on the eastern end of DHA in Karachi. Additionally, huge gated housing enclaves can cause the creation of slums and squatter settlements in the surrounding areas. Consider the housing problems for construction workers themselves, who have to be employed on a long-term basis and thus given accommodations in temporary labour camps. People in such makeshift camps once built Islamabad; now they are building the Bahria Town in Karachi. Where do the labourers go after their work is done? Nowhere. Labourers have few housing options other than to stay in whatever piece of land they are permitted to occupy, for as long as they are allowed to. This results in the kind of informal settlements that have become the target of violent state intervention in recent months in Islamabad. As gated real estate has flourished, so has the number of slums in the federal capital — from a dozen, a decade ago, to over 40, as of now. This was originally published in Herald's September 2015 issue under the headline "Far from the madding crowd". To read more subscribe to Herald in print. Dear Writer, the first photo description saying its a street from Bahria Town, Rawalpindi is incorrect! In fact it is a my home street and house in Karachi’s KDA Overseas Society. Even the car license plates clearly show Sindh make. It’s a two year old photo taken off google while celebrating 14 August Independence Day. Very beautiful apartments and bungalows, who says Pakistan is a third world country? if you can afford it you can have a luxury life any place in the world. What is the source of Money of such people...?? there is no Industrialization in Pakistan then How could they manage such expensive residential place?? Great article - maybe you should also highlight the fact that these real estate barons and housing authorities are also scamming the public at large. Two big cases are DHA Valley, Islamabad and DHA City, Lahore. The high & mighty DHA, in collusion with the real estate barons, has taken money from the allottees of these two development schemes, but there is nothing to show for it. Very well written, balanced and informative article. Thanks Haseeb Asif. Thanks Dawn. One thing is missing. There is no disclosure of the fact that in future, there is no plan in the power corridors to undo or even halt emerging of these walled communities. So, the poor and the lower middle class people are advised to either get money from somewhere and buy a house in BT/DHA/etc. or keep on lamenting as they can't leave Pakistan and settle in Dubai...! 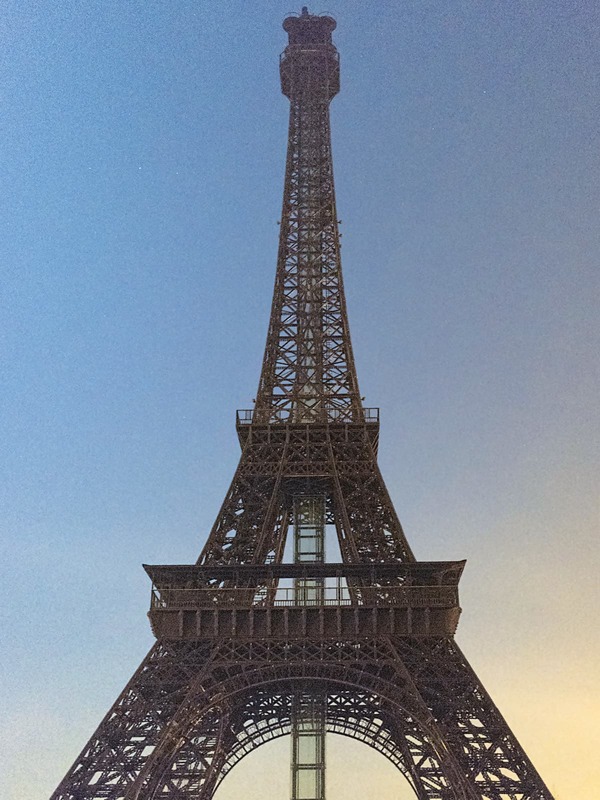 Eiffel tower is in Karachi???? Armed force personnel, serving or retired are living very comfortably in these communities.One can,t imagine govt money was not used indirectly. @Pune-India Pakistan is thriving economy if it's not disturbed by the unqualified politicians. If we have a sensible leader ship and better taxes collection system in place and it's fair use Pakistan can out perform many countries in our region, it's very fair accesment. How much tax is received from residents of these elite housing complexes? This is a superb article. Alas not many are aware of such realities let alone their long term effects on our society and environment. @Pune-India u indians keep thinking that Pakistan has no industrial base. please come and see. all the misconceptions that Arnab and all the other indian media personalities spread will fall apart. Pakistan is quite nice. we have these things because we have money. Traveling along national highways, I have noticed that such walled housing schemes have emerged in smaller cities as well. After capturing Lahore, Islamabad & Karachi, DHA and Bahria are now moving to Tier-2 cities. Tier-3 cities and smaller towns have their own builders/developers. Soon, the country may be am amalgam of walled cities and slums. @Rasheed, a country is judged by how the poorest and the majority live (the 95%); not by how the top 5% live! Pakistan is a third world country , which despite being a muslim country has not been able to put into practice what Islam teaches about taking care of the weakest and the poorest of our brethren. These types of buildings are common in Chennai, Bangalore, Mumbai, Pune,Delhi etc ! I do not see whats extra ordinary in these .. But i really like the Egyptian theme. Well painted ! What kind of development is this? Millions remain without a roof over their heads and now this extravagance! @Hassan - Hassan Sahab 65Bn for 2Bn population Vs 44Bn for 200Mn Population. also aid to india was invested in education, And infra Aid to pakistan for for Defence. @Mr.White - agree I live in a similar building on the outskirts of Delhi..but yes have not seen foreign themes in our societies....Eiffel tower, statue of liberty, Egypt etc. in pakistan very nice. @Arshad ,Canada - I agree some of the best (world class) lathe machining tools skills and manufacturing industry thrives in Darra Adam Khel, Pakistan, no country int he world can match this place. To the Manor born, or The Tale of Two Cities (within cities). 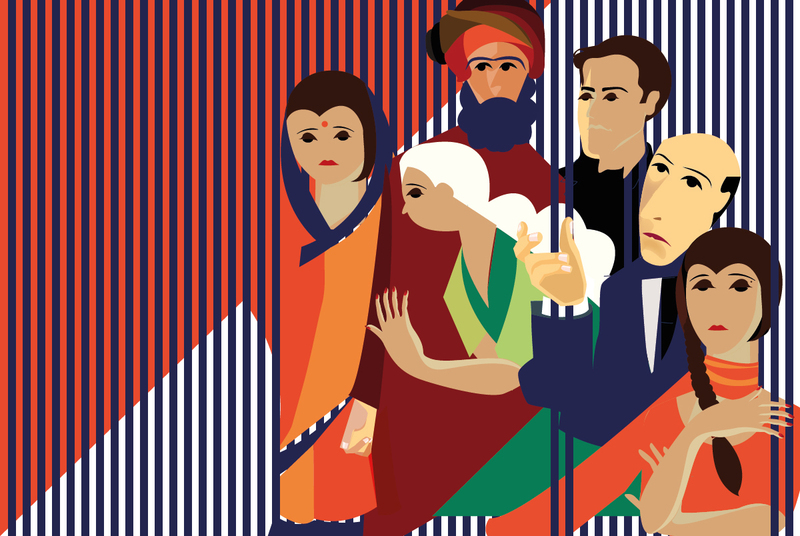 Forget about break the glass ceiling, or quest for equality, or bridging the gender gaps. 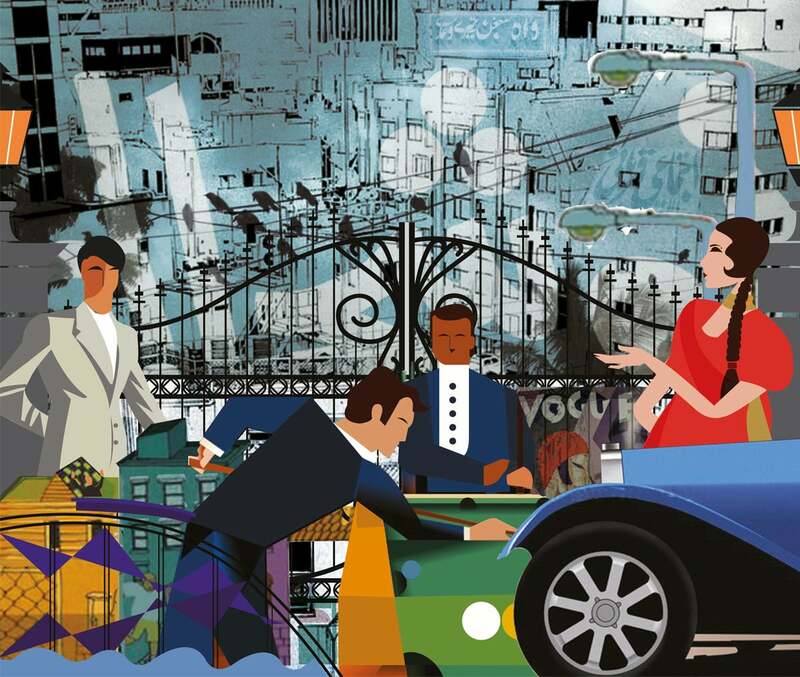 The veritable Class system - them and us -- is very much kept alive by these elite enclaves, with their gates, walls, and exclusion from the rest of the population to give a sense of entitlement, snob appeal for haves, verses the have nots. No wonder Pakistan is in a crises of identity, where top 1% do not find much in common with the 99% of the country. DHA Karachi, Lahore and elsewhere is not a gated community and lots of rich people lives here. Bahria town Lahore pics are of small houses and a middle to upper middle suburb, not an elitist neighborhood. real estate prices in Pune india are sky high. i just bought 1bhk flat at 5 million on INR. ie 8 to 9 million of pkr. at 21 st floor and just 600 eq ft.
What is 'elite' in Pakistan, is quite mundane by international standards. My Congratulations to Malik Riaz and Bahria Town for producing quality housing for the people of Pakistan. The 1% 'elite' in a completely different world of their own, cutoff from the rest of the country. Now you can see why the 'Occupy' movement was started a few years ago, and spread across the world , as a revolt against the 1% by the remaining 99%, who consume 60% of the planet's resources. Model Town, Lahore the best place to live in Lahore. You feel the proximity of legends such as Hafiz jalandhary, Ashfaq sb, Bano Apa, Faiz sb, Mustansar chacha and Many more. Very well written article. I applaud journalistic integrity of Herald. @Abbas, Yes,, theses are nice looking apartments. But India has the highest per capita income in south east Asia. GDP is 8 times bigger than the 2nd largest economy. Pakistan is a very rich country. dear sir bahria town is the only i repeat the only colony where a poor man can also dare to buy something or reside. Has someone ever highlighted the life of people living in slum areas? They are also the creature of God as well as the citizens of this country. @Syed Zaidi , I agree but when you say " disturbed by unqualified politicians" you must add Unqualified Non-Qualified special forces"
@Peace, Yes I really meant 5th in the World and First in Asia go check Bloomsburg and Maddie's and Forbes . Check out just the last week's issues and rating. Nice to see my town and the streets of Bahria town on Dawn. I recently applied for a renewal of the ID car from NADRA online and was shocked to find out that I could not put Bahria town on the automated address because it was not listed there. I ended up having to put down my old address at Hassanabdal. Pakistan is heaven on earth. @khaleel saheb of course, it's Home! But obviously you have never been abroad... anywhere! These housing developments are wasting precious agricultural sweet land and very soon the Pakistani society will realize its negative results. The per capita "useful" land in Pakistan is diminishing rapidly due to housing colony culture. @khaleel saheb I'm pretty certain there are no concrete towers in Heaven! This is probably the most elitist response ever. Height of incompetence?? Calm down they didnt destroy your dignity or anything. Highly itonic that Dawn.. a newspaper run by elites and read by elites has so much negativity to publish about the middle class. The rising new middle class and people like malik riaz are what are keeping this country afloat via economic activity. They are also providing much needed employment to the poor. The old money elite just talks about socialist themes, civil democracy rule etc without actually doing anything. These middle class schemes are not a hindrance in developing public housing for low income. If the leaders are sincere they can easily develop schemes for low invome too. Korangi and landhi schemes develope by Gen Azam Khan's team in 50s and 60s are an example. Bahria Town should be commended for effectively privatising and performing the role of municipal authorities, electricity supplier, and water utilities (ie roads, waste management, power supply, water and wastewater conveyance). What a great example for Pakistan’s dysfunctional government departments and what a great way to demonstrate that with commitment everything is possible in Pakistan ! In the longer term, Bahria Town should also focus on the treatment of water supplies so that potable drinking quality water becomes available through the household water supply schemes. Blood and bread suckers. More than half of Pakistan population is living under the line of poverty, means thay hardly find two times food, has no access to clean water. Corrupt people are exposed and they still enjoy their government positions. There is no accountability. The Anti-corruption bureau is the most corrupt. All the same sh*t we are listening forever. We need a change of attitudes. A real change. Great piece on the real state and housing and also very much informative. Though I liked the former name of the Article.